The Gujarat High Court, taking a serious view of the Ahmedabad Municipal Corporation (AMC) School Board for failing to implement the right to education (RTE) Act provisions for 8,449 slum-dwelling children, has said that the board is “not following” the order and advice of the State Sarva Shiksha Abhiyan (SSA) authorities to implement RTE norms. It ordered “immediate implementation” of RTE norms for these Gyan Shala children, who faced the predicament of becoming school dropouts only because the local body authorities refused to provide them a general register (GR) number, which would enable them to get admission in any school of their liking, government or private. A petition was filed by Prof Pankaj Jain, CEO of the Education Support Organisation, with the help of the Centre for Social Justice, Ahmedabad, though senior advocate Shilpa Shah, against state officials in charge of education in Gandhinagar as also the AMC School Board. 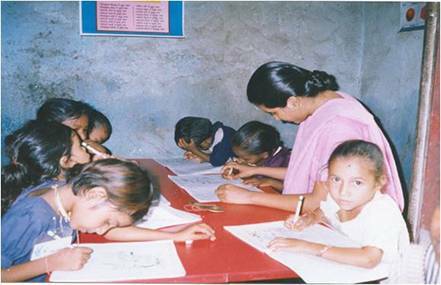 The Gyan Shala project, under which these children have been studying, is meant for underprivileged children of Ahmedabad. Begun in 2000, it was was recently extended to seven cities in four states, covering 30,000 children. Importance of the project, these sources said, can be gauged from the fact that it operates through the campus of the Indian Institute of Management (IIM), Ahmedabad, and has been acclaimed by reputed national and international agencies like Poverty Action Lab MIT, USA, Educational Initiative, India and CFBT, UK. These bodies have found the learning imparted to these children quite better compared to the children educated in various government schools. Currently, STP is being imparted to 8,499 children in the Ahmedabad Municipal Corporation area. Its trustees, apart from Prof Jain, include Prof Pankaj Chandra, director, IIM, Bangalore; Prof Subhash Bhatnagar of the IIM-Ahmedabad; Prof Ajay Panday, dean, IIM, Ahmedabad; and Prof Ashok Korvar. By refusing to provide the GR number, the petitioner argued, the AMC School Board would have meant an immediate end of schooling to 2,200 children, who have finished three years of STP. They should have been listed with the AMC School Board, allowing them to be registered with various municipal schools/ government schools in and around the area such children reside. But in order to get admission in a private school, they should be provided with a GR number. With this number in hand, they would become free to take admission in any school. But without it, they would be deprived of admission in any other school other than government. ”In the academic year 2012-2013, in all 2,200 children completed their three-year STP under the project, and their bio data was forwarded to the authorities, who in turn were required to register these children in municipal schools after verification and thereafter issue them their GR number”, the sources said. Prof Jain wrote two letters – on January 19, 2013 and March 16, 2013 – requesting to prepare a list of these 2,200 children who had completed their first three years. Yet, the authorities remained indifferent..